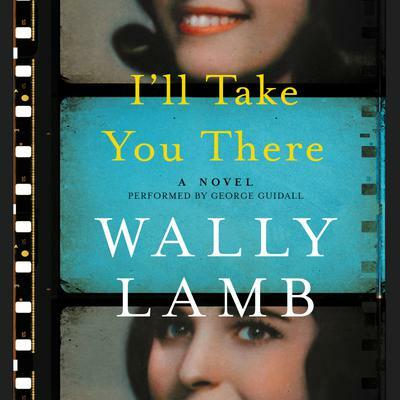 New York Times bestselling author Wally Lamb weaves an evocative, deeply affecting tapestry of one Baby Boomer's life—Felix Funicello, introduced in Wishin’ and Hopin’—and the trio of unforgettable women who have changed it, in this radiant homage to the resiliency, strength, and power of women. I’ll Take You There centers on Felix, a film scholar who runs a Monday night movie club in what was once a vaudeville theater. One evening, while setting up a film in the projectionist booth, he’s confronted by the ghost of Lois Weber, a trailblazing motion picture director from Hollywood’s silent film era. Lois invites Felix to revisit—and in some cases relive—scenes from his past as they are projected onto the cinema’s big screen. In these magical movies, the medium of film becomes the lens for Felix to reflect on the women who profoundly impacted his life. There’s his daughter Aliza, a Gen Y writer for New York Magazine who is trying to align her post-modern feminist beliefs with her lofty career ambitions; his sister, Frances, with whom he once shared a complicated bond of kindness and cruelty; and Verna, a fiery would-be contender for the 1951 Miss Rheingold competition, a beauty contest sponsored by a Brooklyn-based beer manufacturer that became a marketing phenomenon for two decades. At first unnerved by these ethereal apparitions, Felix comes to look forward to his encounters with Lois, who is later joined by the spirits of other celluloid muses. Against the backdrop of a kaleidoscopic convergence of politics and pop culture, family secrets, and Hollywood iconography, Felix gains an enlightened understanding of the pressures and trials of the women closest to him, and of the feminine ideals and feminist realities that all women, of every era, must face.